Back in March, Jason Palmer posted on his Deviant Art page "Been busy with, among other things, two movies each based on DC comic characters (one has a scar, one has a ring) I'll share with you when I can." It doesn't take long to put two and two together and realize he is talking about "Jonah Hex" and "The Green Lantern." 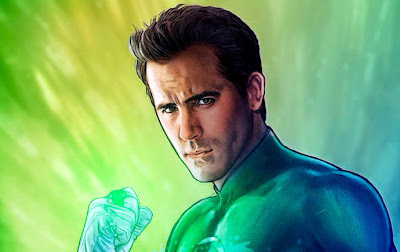 More recently Palmer uploaded this new piece of artwork featuring Ryan Reynolds as the Green Lantern, Hal Jordan. Palmer however did stipulate that this piece of art was not submitted to Warner Brothers. "This is some extra art I did as a cover to the submission pdf, but was strangely not included in the submission." To hammer home the point that this piece of art was not used by WB he said, "For this art, I didn't use costume designs or Reynolds ref that was provided by WB." Take a look at the full image below. 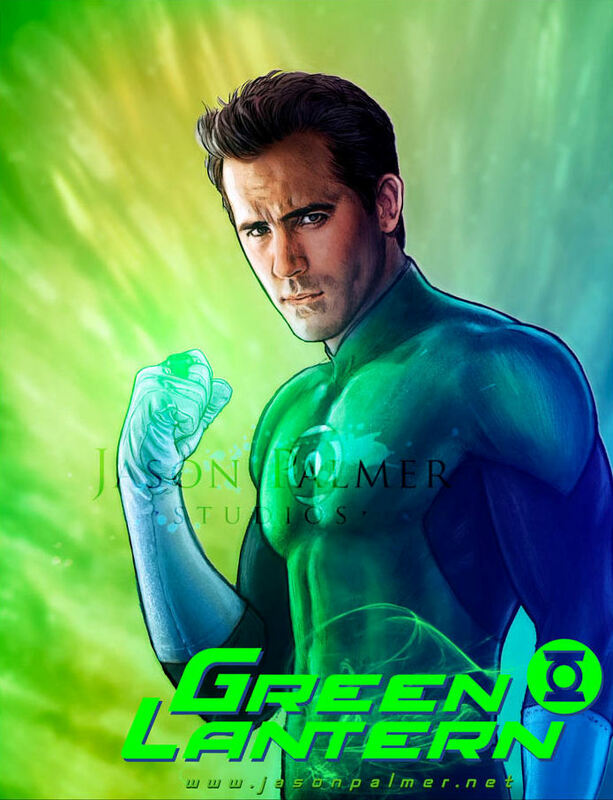 Given the fact the Jason Palmer outright says this costume was not used by WB we know its not the final look of Hal Jordan and the Lantern Corps suit, but it does give us a solid idea. When combined with other recent (official) concept art that has been revealed, I'd say Palmer's look isn't far off. 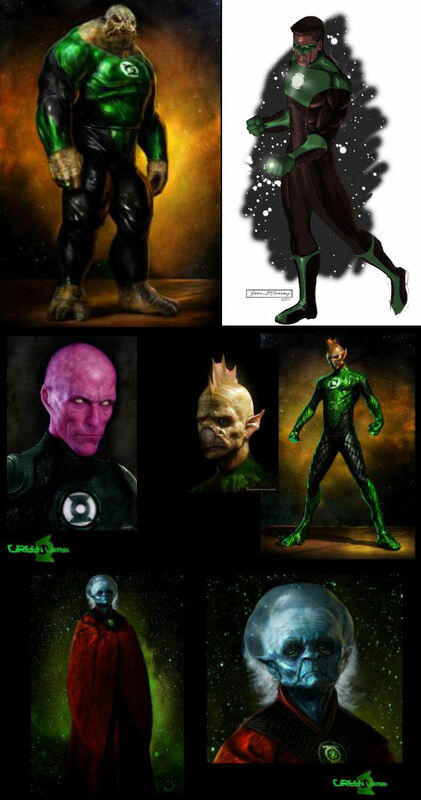 Below I've included the official recent concept art.